Combined, these tools have saved me countless wasted minutes at transit stops waiting for a vehicle that doesn't come for 20 minutes. Known where my next vehicle is helps me plan alternate routes that save time. The Globe and Mail has an editorial... "An open letter to those who elected Rob Ford". Two more years of Rob Ford? 2014 can't come soon enough for me. 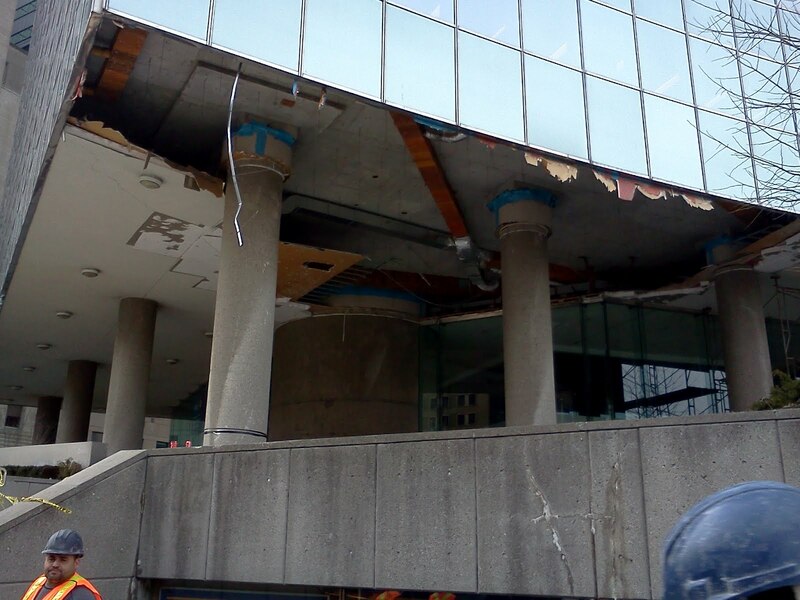 As reported by the Toronto Star 2 days ago, part of the internal roof from the Hydro Building fell in downtown Toronto. Here is what it looks like today (taken at 12:30pm).